Microservices promise a better way to sustainably deliver business impact. Rather than a single monolithic unit, applications built in this style are composed from loosely-coupled, autonomous services. 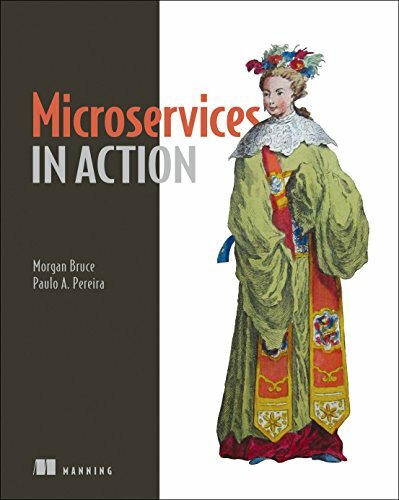 Microservices in Action is a practical book about building and deploying microservice-based applications. Written for developers and architects with a solid grasp of service-oriented development, it tackles the challenge of putting microservices into production. Readers should be intermediate developers with some knowledge of enterprise application architecture. Microservices change the dev process, maximizing the efficiency and independence of small teams. To be successful, developers, team leaders, and architects need to master both the implementation details and the big picture of how microservices work in a production environment. Morgan Bruce and Paulo A. Pereira have years of experience building distributed applications, with particular expertise in the high-stakes finance and identity verification industries. They work daily with microservices in a production environment using the tools and techniques presented in this book.